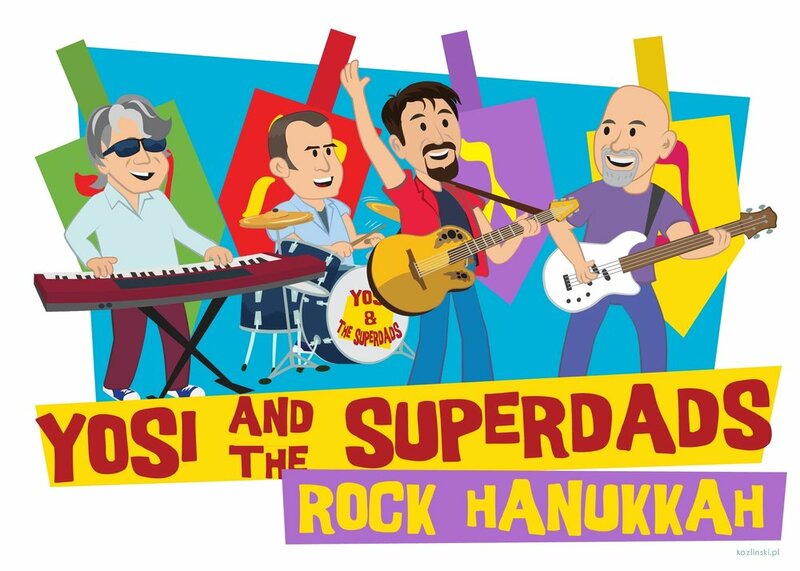 Yosi & The Superdads present an interactive and humorous family concert filled with Klezmer, ska, jazz, and, of course, Rockin' Hanukkah tunes! You've never heard your classic Hanukkah songs done quite this way! A Cajun-infused 'My Little Dreidel' would fit easily on a Grateful Dead or Buckwheat Zydeco album. 'Maoz Tzur' recalls U2 and Yardbirds. Yosi also has a solo concert for Hanukkah! Brighten the winter with a high energy Rockin' Hanukkah concert! Enjoy classic and original Hanukkah songs done with a rock 'n roll feel! From a lively rendition of 'My Little Dreidel' to the hilarious 'She Just Doesn't Get It' (where one frustrated brother can't seem to teach his young sister anything about Hanukkah): it's an interactive and humorous concert for the whole family!